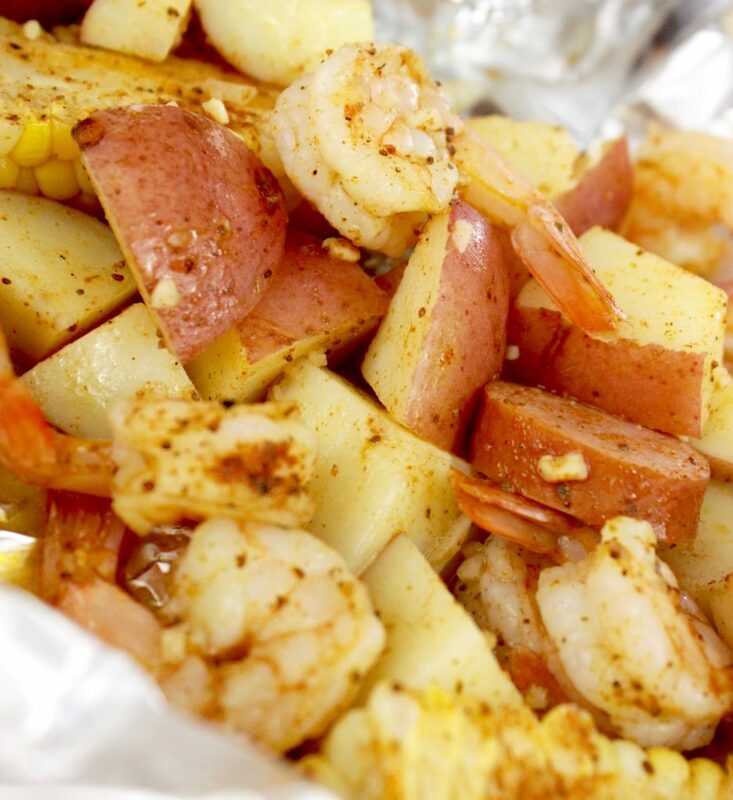 If you love one dish dinners… you’re going to go crazy over these shrimp boil packets! 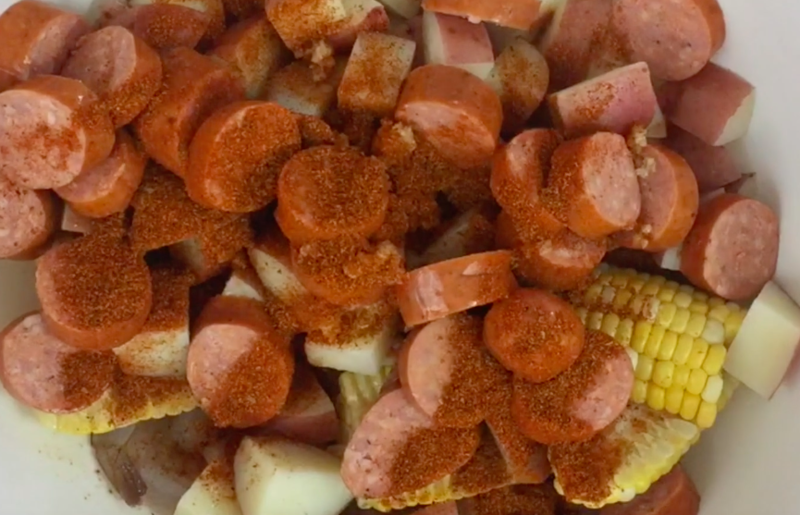 All of the preparation is in one bowl, it’s all mixed and ready to rock and roll! 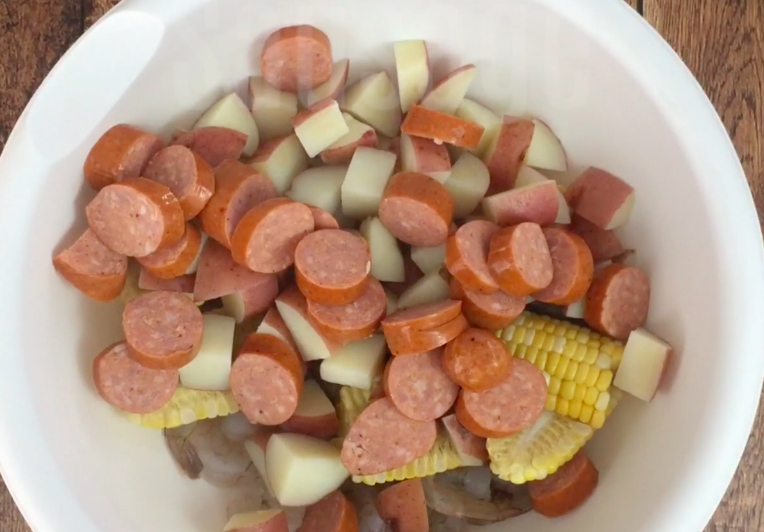 This is one of those easy dinner ideas you’ve got to add to your dinner arsenal! When we vacation we love to go down to Gulf Shores, Alabama. It’s a small town, but so, so hospitable to the point that when you’re there you don’t even really feel as though you’re on vacation. 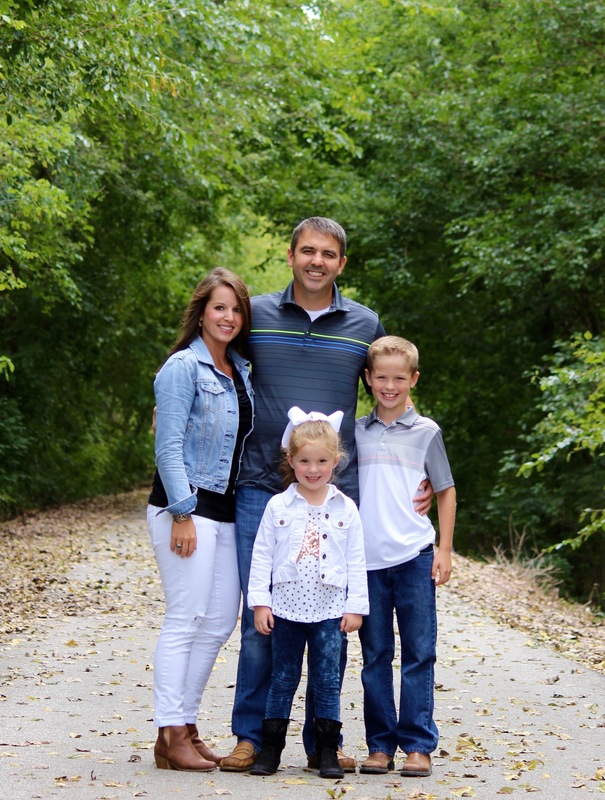 You truly feel like you’re just “home away from home”. And, besides walking the beaches, my personal favorite part about Gulf Shores is the food. In fact, the food might give the beaches a run for their money… possibly. The taste of the fresh caught fish is like none other and the way the staff makes you feel while you’re visiting, amazing! 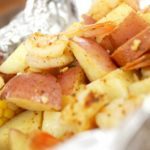 And, on a side note, as I was writing this recipe up and doing my due diligence on what to call it, I noticed a HUGE spike in the trending of dinner foil packets. This is a big deal, folks! It appears I’m not the only one who loves the convenience of mixing everything into a piece of foil, wrapping it up and calling it dinner — how’s that for easy?! Love it! Boil the corn and cubed potatoes for ten minutes or so, then rinse and drain. The remainder of the cooking will be done in the foil packet. No worries – it will be as tender as tender can be once this process is done. 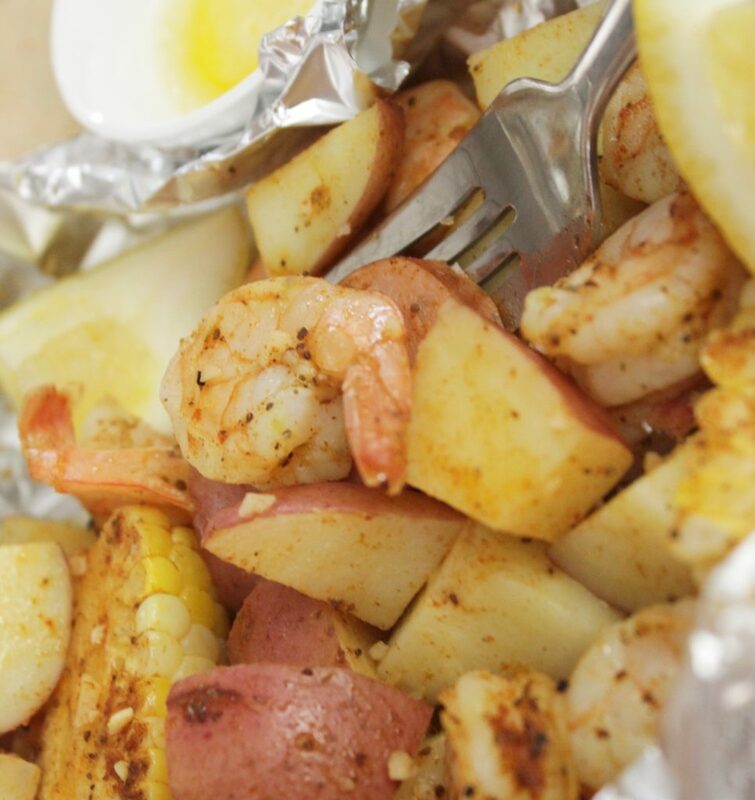 😀 While the potatoes and corn are boiling, combine all of your ingredients together starting with your peeled and deveined shrimp. Next, place a quarter of the mixture onto a large piece of foil. A 12″ by 12″ sheet should do, and using heavy duty foil might be a good idea. Or, Reynolds even makes the foil packs now – how cool are these?! It’s also best to have a large cutting board nearby so that you can move your packets to that for transporting to the grill or oven. Once you’ve got one quarter of the mixture in each of the four foil pieces, wrap them up. Start the long ways sealing them, then seal the ends by rolling from the bottom up, flipping and finally sealing it into a packet. 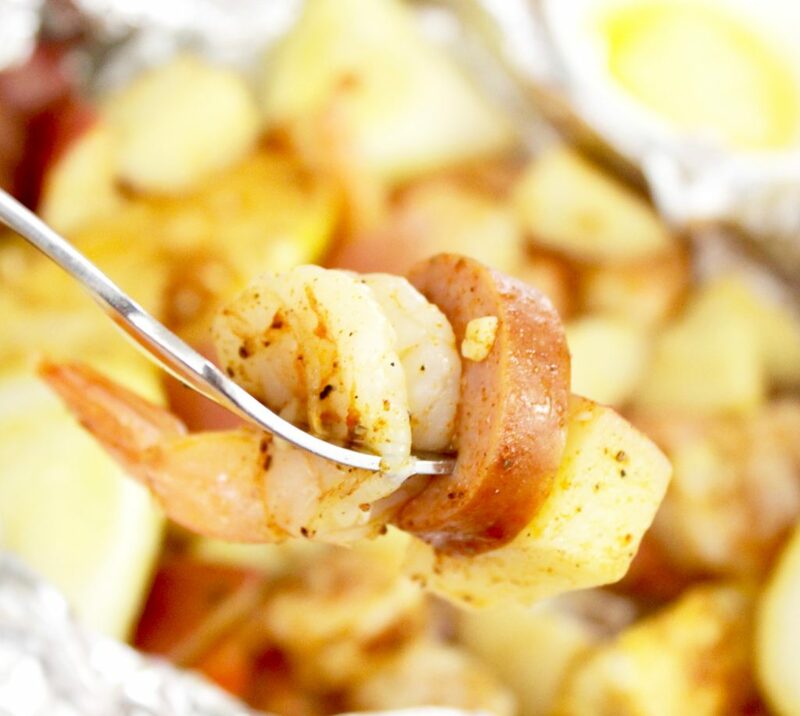 Place the foil packs on a hot grill for 10 minutes, flip and grill for 5-6 more minutes or bake in a 400 degree oven for 20 minutes, or until the shrimp is no longer pink. ** While these are baking heat butter in a small saucepan on medium/low. 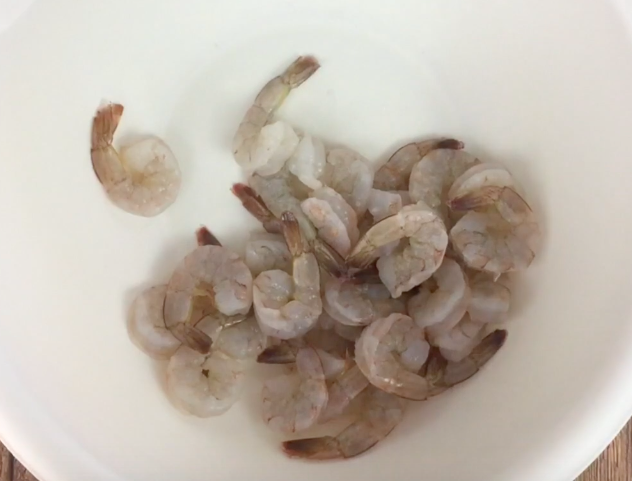 As the butter melts it will start to turn golden brown, You’re making the best dipping sauce for the shrimp and potatoes — you know, the kind that every seafood restaurant serves with shrimp scampi? Yes, this! And this meal is going to be absolutely fantastic — and easy. And, I just love easy dinners, don’t you?! These are simply and absolutely delicious! Please, after you make these… in the comments below let me know what you thought!!! I hope you love them as much as we do! Boil the corn and cubed potatoes for ten minutes or so, then rinse and drain. 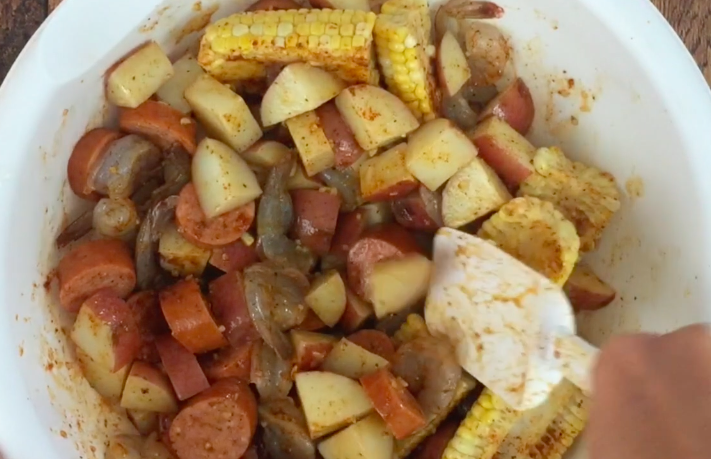 In a large bowl, combine the shrimp, potatoes, corn and sausage... and then season with the remaining ingredients, leaving 4 T butter for heating later. Place a quarter of the mixture onto a large piece of foil, assembling four packs, start the long ways, then seal the ends by rolling from the bottom up. 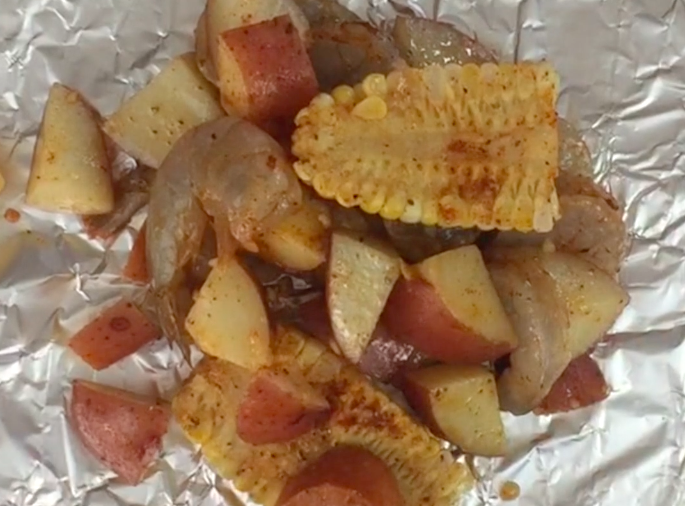 Place the foil packs on a preheated grill for 10 minutes, flip and grill for 5-6 more minutes or bake in a 400 degree oven for 20 minutes, or until the shrimp is no longer pink. 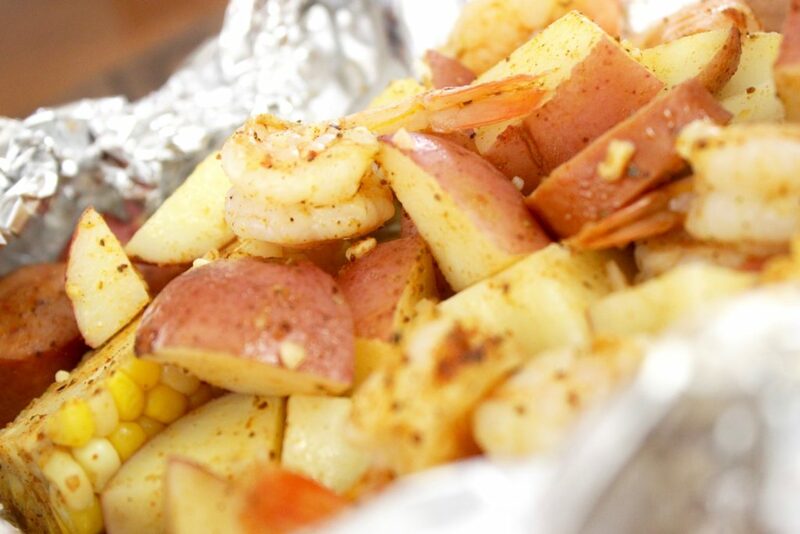 Enjoy the shrimp foil packets with the butter dipping sauce. YUM!